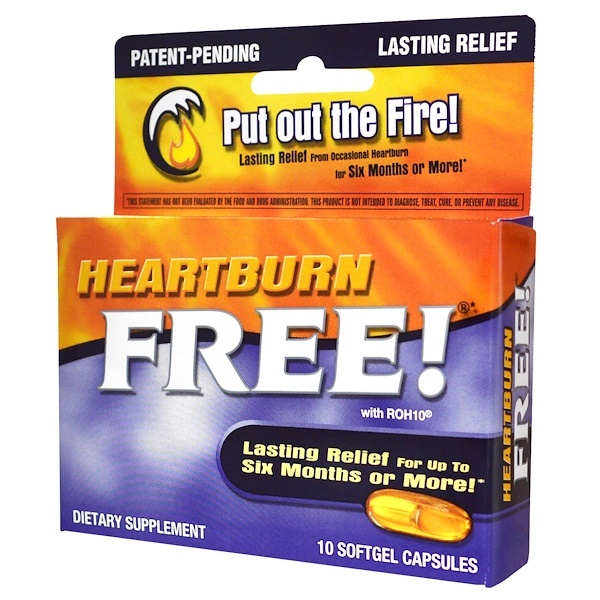 Lasting Relief From Occasional Heartburn for Six Months or More! Does your stomach feel like it's been playing with matches? Put out the fire with Heartburn Free dietary supplement. 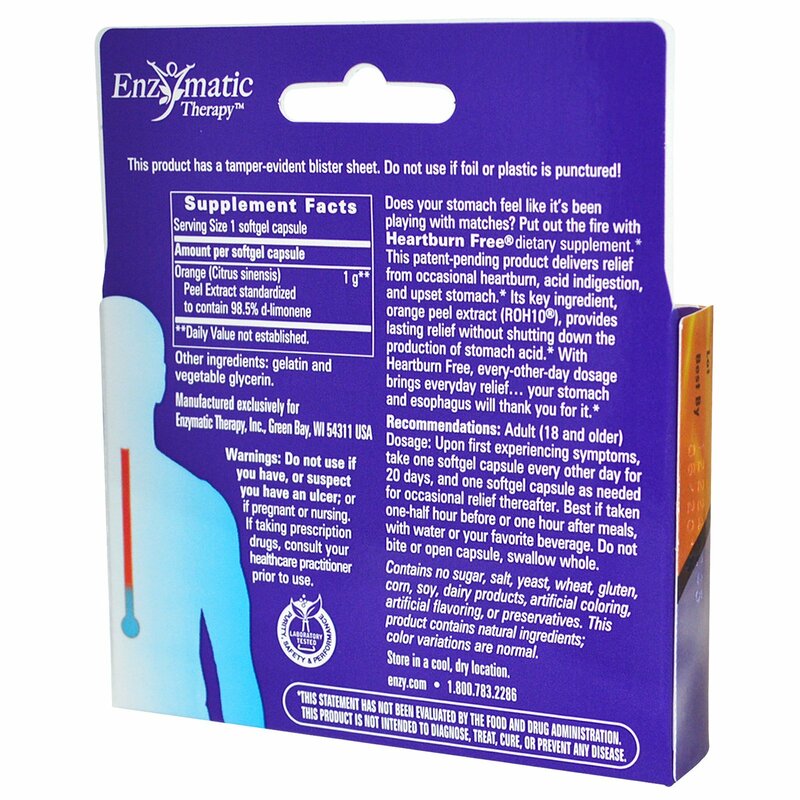 This patent-pending product delivers relief from occasional heartburn, acid indigestion, and upset stomach. Its key ingredient, orange peel extract (ROH10), provides lasting relief without shutting down the production of stomach acid. With Heartburn Free, every-other-day dosage brings everyday relief...your stomach and esophagus will thank you for it.